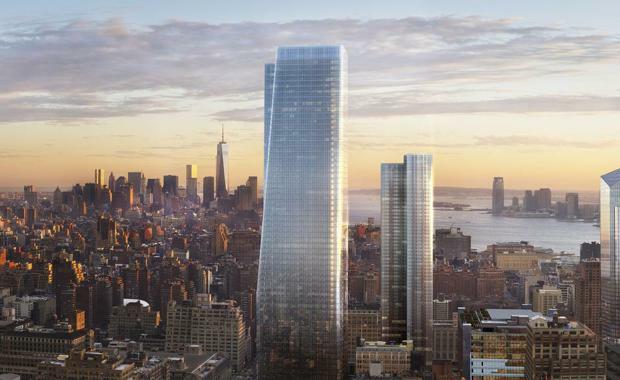 It's taken almost three decades for the site on Manhattan's West Side to finally go ahead, with Brookfield Property Partners fulfilling the dream to build a huge office tower. As reported in The Wall Street Journal, the tower demonstrates how the skyrocketing prices of existing office towers have led to many landlords to turn to high risk development. Speaking to the WSJ, CEO of Brookfield's office devision Dennis Friedrich said, existing office towers "are very expensive. ""If you have a pipeline of development and you can develop below where assets are trading, it makes the investment decision easier. "Many other publicly traded companies are following suit, selling stakes in their Manhattan and Boston office towers to use the money into developing others. Brookfield has named their new project 1 Manhattan West, with 25% of the two-million square foot building leased. Competitors Related Cos. are close by, with their two office towers set to be complete around the same time.